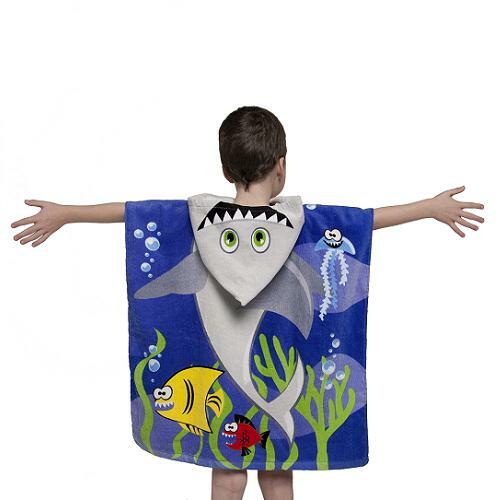 This fun Sam Shark hooded poncho towel is ideal for your children for days out at the pool, the beach or after their bath. They slip over their heads easily and are a fun way to keep them warm and dry. 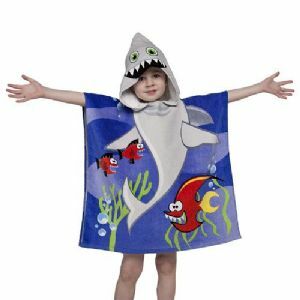 They have a sun protection rating of UPF 50+ which helps prevent sunburn, however you should always apply a high factor sun cream to all exposed skin.